Walnut Grove Veterinary Service was started in 1997 as a solo ambulatory practice. We were fortunate to grow quickly, adding our first associate position in 1999 and opening our clinic facility in 2000. Our office staff and 3 full-time veterinarians are dedicated to providing your horse with the best current medical and surgical therapies available. 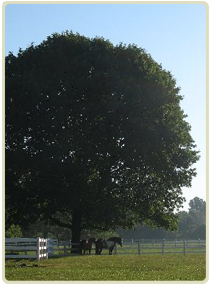 We are committed to working with you, your trainers, barn managers and farriers to provide an integrated approach to the care and rehabilitation of the �whole horse�.